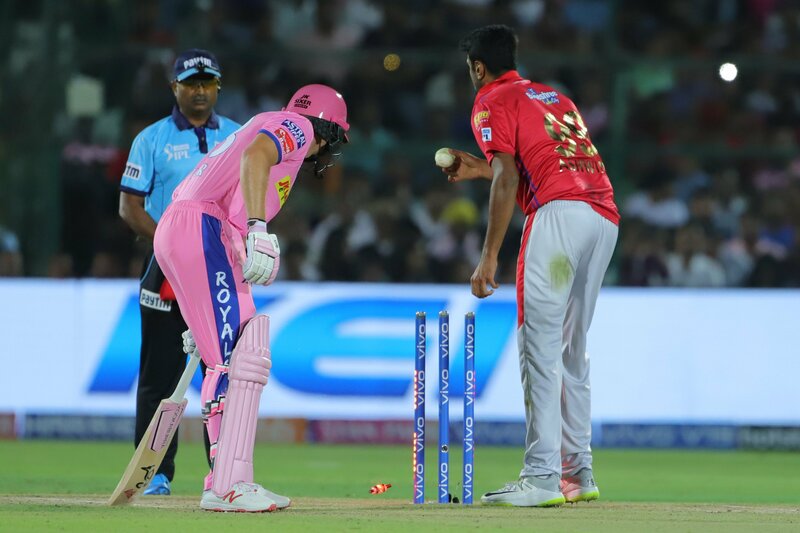 IPL 2019: The Mankad dismissal by Ravi Ashwin at IPL divides the cricket world! Indian Cricket Team Ace Spinner Ravichandran Ashwin is Facing wrath by the cricket fraternity and fans For ‘Mankading’ Jos Butler in IPL Match. India spin superstar Ravi Ashwin has been labeled “disgraceful” after his act to ‘Mankad’ England wicketkeeper batter Jos Buttler in an IPL match between the Kings XI Punjab and Rajasthan Royals in Japiur on Monday. Australian legend Shane Warne vehemently outspoken and calling on the BCCI to sanction their spin-bowling Test star. What an absolute disgrace! @josbuttler spitting tacs and rightfully so!! !